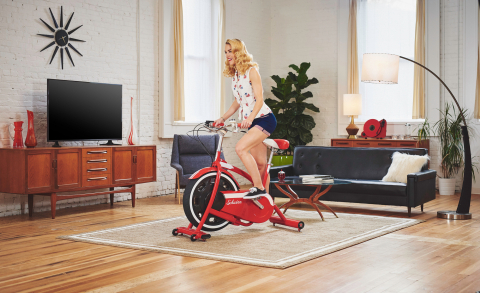 VANCOUVER, Wash.--(BUSINESS WIRE)--Nautilus, Inc. (NYSE: NLS), a leader in innovative fitness equipment, continues to provide entertaining and motivating fitness solutions for the whole family with the introduction of the new retro-inspired Schwinn® Classic Cruiser™ exercise bike. Designed for those looking to combine fitness and fun, the Schwinn Classic Cruiser bike offers a trip down memory lane through a fast and effective 20-minute workout, transporting users to a simpler time when your biggest concern was what baseball card to put in your wheel spoke or what color handlebar streamers to hang on your bike. The Classic Cruiser bike is compatible with popular apps like Zwift™ and RideSocial™, so users can enjoy feelings of freedom as they pedal through scenic locations like the sun-drenched beaches of Venice or the lush Irish countryside with other cyclists from around the globe in a mixed-reality virtual world. With the official Schwinn Classic Cruiser app, users can focus on fun while the app monitors time, calories burned and distance. The free Schwinn Classic Cruiser app also has the ability to track your goals and unlock awards as you set new personal records. It also features a 14-minute interval workout, as well as timed and manual workout options. Featuring a state-of-the-art electromagnetic flywheel with seven levels of resistance, Bluetooth® connectivity, USB port and an electronic speedometer, the Schwinn Classic Cruiser bike is fully up-to-date with modern capabilities, while maintaining a retro feel and whimsical charm. A built-in media rack and classic, fully-adjustable saddle seat and handlebars offer Schwinn Classic Cruiser bike users a comfortable and customizable workout experience. An optional accessories kit, allows users to outfit their bike with retro charm and includes a Cruisin’ license plate, red and white handlebar streamers, a bicycle horn and water bottle plus holder. 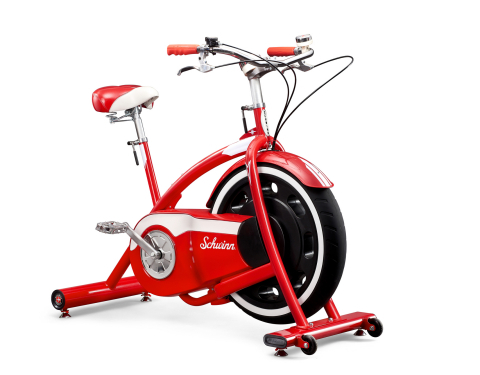 The Schwinn Classic Cruiser bike is available online at www.SchwinnFitness.com for $799. The accessories kit is available for an additional $99. For more information, visit: www.SchwinnFitness.com/ClassicCruiser. Headquartered in Vancouver, Washington, Nautilus, Inc. (NYSE: NLS) is a global fitness solutions company that believes everyone deserves a fit and healthy life. With a brand portfolio including Bowflex®, Modern Movement®, Nautilus®, Octane Fitness®, Schwinn® and Universal®, Nautilus, Inc. develops innovative products to support healthy living through direct and retail channels as well as in commercial channels.